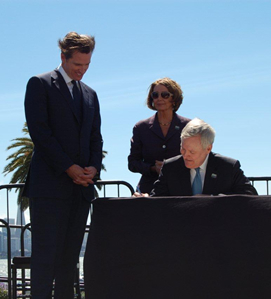 Mayor Gavin Newsom and Secretary of the Navy Ray Mabus, joined by Speaker Nancy Pelosi, signed the historic agreement for the transfer of Treasure Island to San Francisco. Appointed by Mayor Willie Brown to serve on the TIDA board of directors in 2001, Claudine has served as the TIDA director and its President from 2002-2008. Claudine was subsequently reappointed to continue her serve on the TIDA board in November of 2009. Read More. This is the singularly most significant experience I have had in terms of my civic involvements in the City. The redevelopment process of Treasure Island was about planning and building a new neighborhood from ground up. Being part of the TIDA board, I have the opportunity to make policy decisions involving every aspect of the development, including land use, housing, transportation, open space, the environment, how the project will be financed without burdening the City's General Fund and every aspect of community benefits that will improve the quality of living of future residents. Established in 1941 as a Naval Base, Treasure and Yerba Burna Islands ("Treasure Island") first received worldwide attention when it was selected as the site of the Golden Gate International Exposition in 1939. The former Naval Based was selected for closure in 1993 and in 1997, the Treasure Island Development Authority ("TIDA") was established by state and local legislation to oversee the administration of the island as well as to plan its redevelopment. An island of 404 Square Miles, Treasure Island currently has over 2000 residents and is the home of the largest Job Corp program of the United States Department of Labor. To learn more about what is being proposed for the Treasure Island redevelopment project, please visit www.sfgov.org/TreasureIsland. 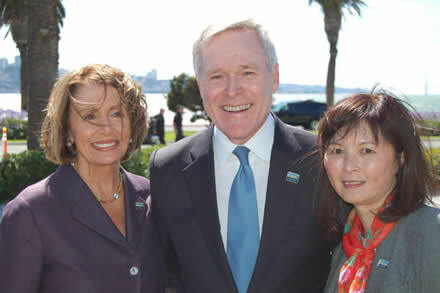 February 10,	2010 - Claudine helped coordinated a press conference at the San Francisco Botanical Garden to preview some of the main events in celebration of Chinese New Year in San Francisco. February 11,	2010 - Opening gala for the “Swinging Chinatown” exhibit at the Old Mint presented by the San Francisco Museum and Historical Society and Chinese Historical Society of America. February 22, 2010– Launching of the website www.apasf.org - the planning of the annual official celebration of Asian Pacific American Heritage Month is in process and do visit the website and Facebook page. Learn more about the Asian Pacific American Heritage Awards and submit nominations for a deserving individual or an organization. 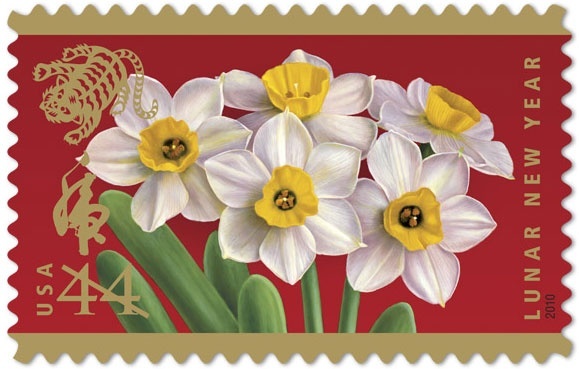 January 14,	2010 - Claudine coordinated the annual Lunar New Year Dedication Stamp Ceremony hosted by the United States Postal Service. The Year of the Tiger stamp is available for purchase at all U.S. Postal offices. January 21,	2010 - Ceremony to commemorate the 100th year anniversary of the opening of the Angel Island Immigration Station. Learn more history, visit www.aiisf.org.